Kvarner is a place to visit in any time of the year, so book a holiday today and let yourself go to its mesmerizing people and culture. Kvarner bay at your service! An experience starts with a journey, so we recommend you to go on a trip and start collecting epic and unforgettable memories on the Kvarner bay. Would you like a cocktail, a beer or you’re a fan of the Vrbnička Žlahtina wine? Would you like to stroll all along the Opatija’s Lungomare? 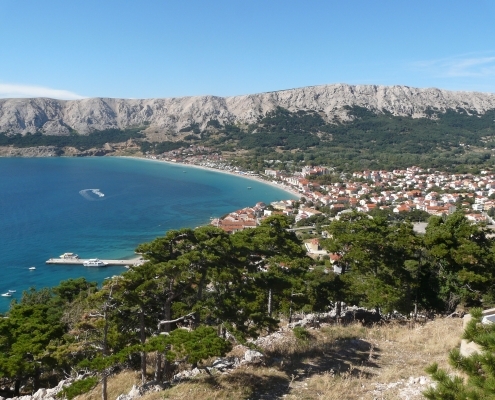 Sail around the islands of Krk and Cres? Dance on Zrće? See a movie or theatre play in Rijeka? Or just lay down on the beach soaking up the sun in Bakar, Lovran or Kostrena? The Kvarner region is located in the northern Adriatic Sea and it stretches down the coast from the foothill of the Učka Mountain by Opatija all the way down to half of the island of Pag, covering the islands of Cres, Krk, Rab, Lošinj, and the mountainous hinterland of Gorski Kotar. Kvarner is the closest point of the Adriatic Sea to Central and Western Europe, and due to its accessibility, mild Mediterranean climate and multicultural-industrial significance, it is a popular tourist destination since the times of the Austro-Hungarian Empire in the 19th century. 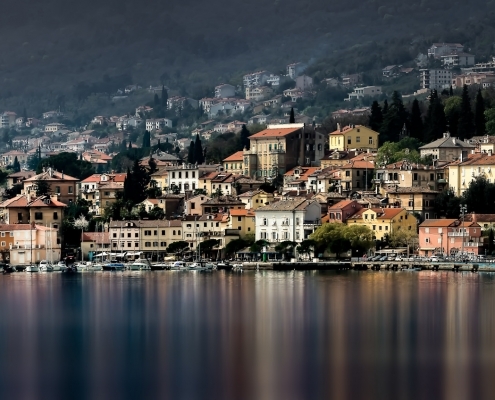 Visit Lovran and its narrow streets full of charming sites and seductive smells of the genuine Croatian delicacies. 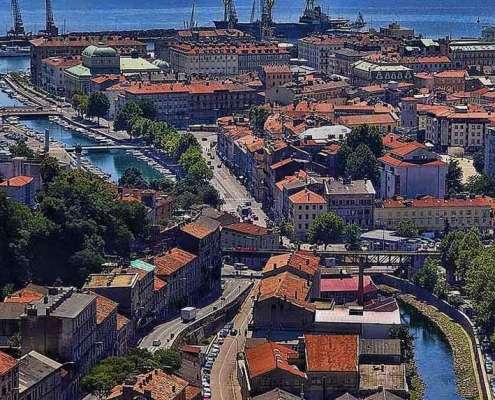 Visit Rijeka to learn about the maritime importance and rich-full industry. Stay here to experience the unique feeling of the Rijeka Carnival that is well known in the whole world. Learn about the culture by visiting the program of the Rijeka Summer Nights. Peek into the Lošinj Dolphin Reserve, at Lošinj Marine Education Centre, the first reserve of this kind in the Mediterranean, which tracks about 120 bottlenose dolphins and has the sea turtle satellite program. Lošinj is also a special Croatian place because of its recently discovered history. In 1998, on the seabed of the islet of Vele Orjule, near the islands of Mali and Veli Lošinj, the Croatian Apoxyimenos finally saw the light of the day. It is one of the rare well preserved Greek statues which used to decorate Greek temples. It portrays a young athlete who was caught in a moment of cleaning his body of oil, sweat and dust (gr. apoxyesis) just after he finished his exercise. We guarantee you that you’ll fall in love with the island of Cres, the most beautiful pearl of Kvarner, on which over ninety species of birds have found their home. 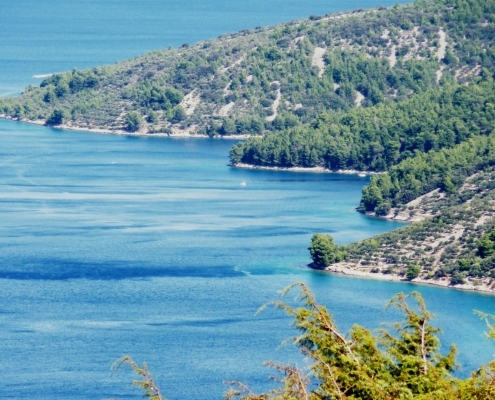 Cres is a home of ornithological reserve for the white-headed griffon vultures and a place where you can see the magical creation of nature – the Vransko Lake, which is a natural reservoir irrigated by rain from the surface and subterranean water channels. Wherever you go, the locals will prepare you a special kind of pasta, called šurlice, with tomato sauce and boar or venison, which is served with light white wine Vrbnička Žlahtina. You can even try fish delicatessens such as octopus under the peka (a specifically designed pot or a tray placed into the embers of a fireplace), calamari with garlic, olive oil and rosemary, and even sea-bream (commonly known as orada) with sweet potato. You should try local sweets such as the Rab cake, the Kacotini almond cookies, or a fig cake called Smokvenjak etc. Everywhere you turn there are delicious and mesmerising tastes and scents – what more can you ask for? The combination of the climate, vegetation, architecture, culture, geographical position that brings out the best of the sun, sea and trees, plus the greatness of its inhabitants – Kvarner is definitely a place to be throughout the year. Kvarner will be a right place for you whether you prefer a quiet and peaceful vacation by the seaside or long summer nights in the crowded clubs. It is an escape plan for nature lovers with its wildlife reserves, national parks, diverse flora and fauna, colourful botanical gardens and above all, with its emerald blue sea. Be present, be here to stay, and never lose the sense of belonging! This is a place you’d like to call a second home.